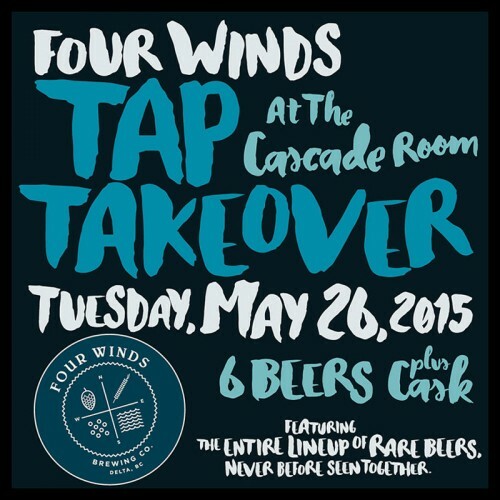 Tuesday, May 26th: Four Winds Tap Takeover at The Cascade Room! This is a REALLY special event. We’ll be featuring the entire lineup of Four Winds Brewing rare carft beers, never before seen together. • Nectarous • Sovereign Saison • Berlinerweisse • Juxtapose • Pilsner • Pale Ale Cask: Specialty IPA Starts at 5pm sharp, with all beers $7 per 20 oz pint.